The multi-purpose National Stadium was built in the years of 2008-2011 with a view to hosting the final of the UEFA Euro 2012 European Championship. 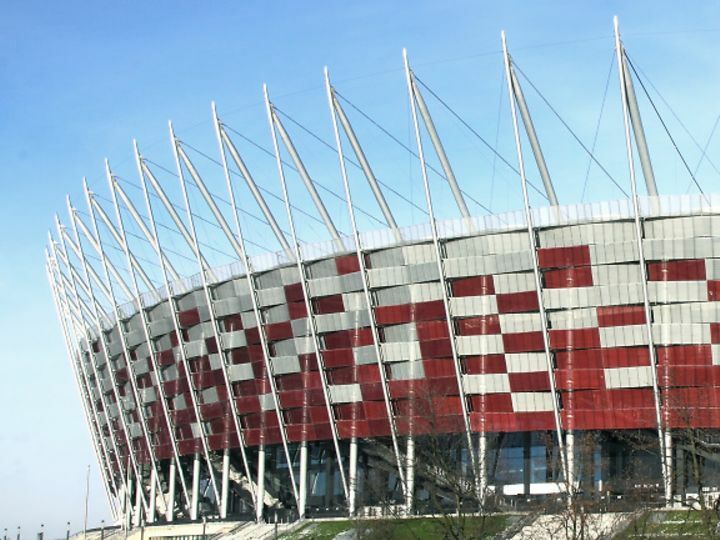 It is the largest sports object in Poland allowing for the organisation of sports events, musical concerts and cultural events. It also provides office, commercial, hotel and gastronomy services. 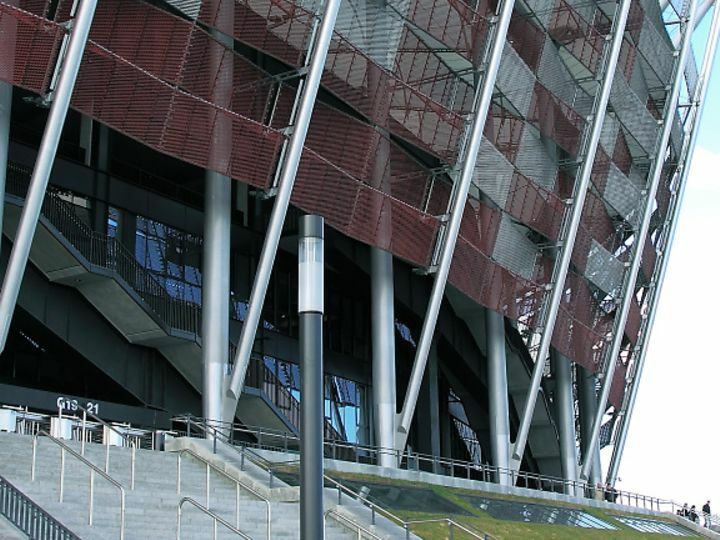 The stadium has the largest conference centre in Warsaw with a capacity of 1600 people. 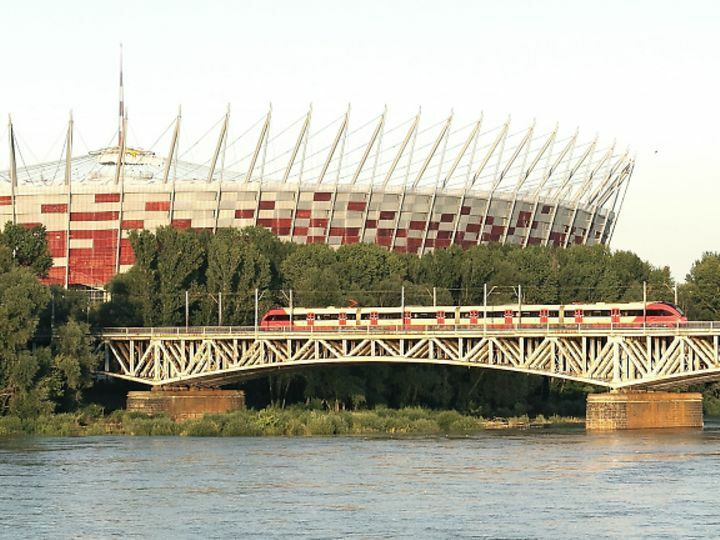 The facade of the object refers to the Polish National Colours resembling a waving white-and-red flag and is in the silver and red colours similarly to the stadium seats. 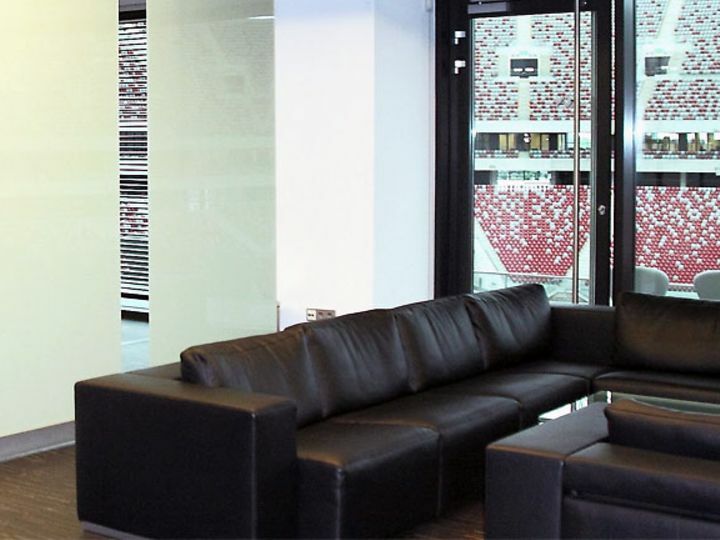 The National Stadium is a dormakaba reference object with a wide range of products in the area of movable walls, fittings for glass and the door technology. The value of dormakaba products sold for the National Stadium amounts to over PLN 1.3 mln. There are HSW folding glass doors in the president's box. 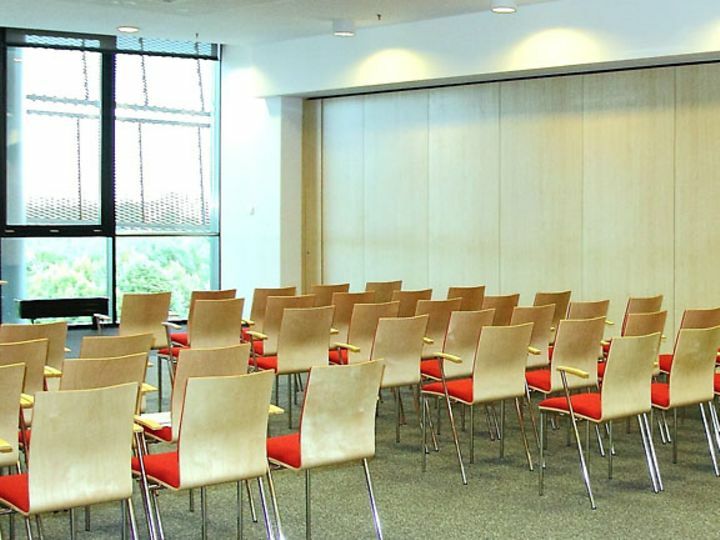 The conference centre is made of light movable wall MOVEO. The longest wall in the fan zone is 30 m long and is made in the RAL 9010 white. Double aluminium emergency doors made by Defor and Widok are fitted with PHA 2000 surface panic levers and finished in stainless steel; Premium 8906 and 8907 handles are used. 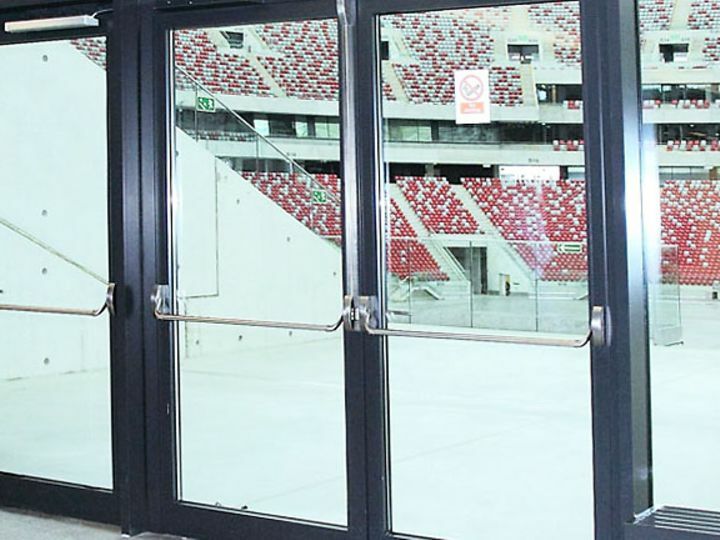 Revolving doors leading to the stadium arena are fitted with PHB 3000 push-bar surface levers.